After a very close call, the Banana Butterscotch Muffins prevailed in the poll. Thankfully I had some ripe bananas left over from the Chocolate Banana Waffle Napoleon. Now I must admit, banana muffins are usually not my favorite kind, but I'm happy to say these came out great! They were a little bit dark, I'm not sure if they're supposed to be like that (banana bread is quite dark after all). 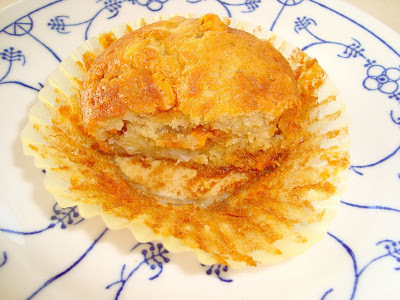 Rating: they changed my opinion drastically about banana muffins so I'd say 4 out of 5! - Preheat oven to 400°F. (I found 400 a bit too high, I'd try 350!) Line a standard muffin tin with muffin cups. - Mash bananas and set aside. - Pour oil into a bowl and whisk in eggs. - Put flour, sugar, baking soda and baking powder into a large bowl and mix in egg and oil mixture, followed by the mashed bananas. 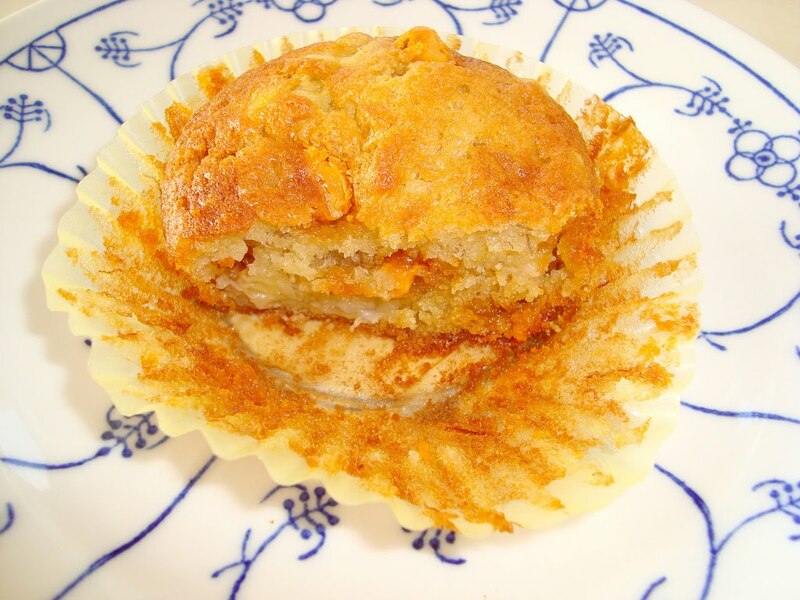 - Fold in butterscotch chips and place equal quantities in the prepared muffin tin and bake for 20 minutes. I think the hues of yellow, gold and beige are so lovely together. 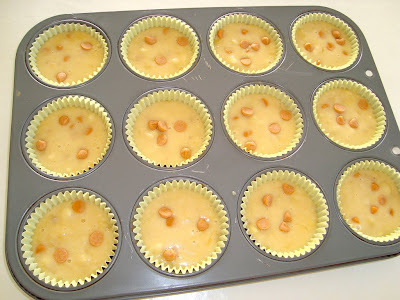 I kept a few butterscotch chips back and sprinkled them on top of the batter in the muffin tin. Perfectly brown out of the oven. Soft, dense, mushy and delicious! Ps: Don't be too bummed out that the Gingerbread Muffins didn't win, chances are big that I'll make those around Christmas! Mmmm - they look so lovely! Now I got hunger pangs, but its nearly midnight here for me and bedtime ..... stay away from the pantry!! Yuuum!! Wish I was eating these right now!! These look scrumptious - i love butterscotch chips, especially in the fall. I'm happy to see that they won! 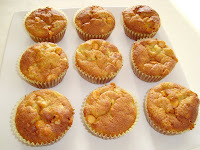 I have to say that I think they look great and am wanting to try adding butterscotch chips to my banana bread. I also really like your polls for what you should bake next. I might steal this idea.. 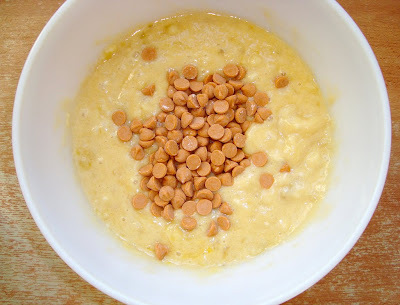 Adding butterscotch is a great idea! These look very moist and delicious.